1.Adopt aluminum alloy material, the shell is sturdy and durable,which is benefit for working in harsh environment in long time. 2.RF adoptIndyR2000chip of American Impinj company,with high performance multi-tags recognition algorithm,its performance can compete with products imported from Europe and the United States. 3. According to the requirement of project environment, flexible connection of 1-32 way antenna,fast, no miss to read the tag. 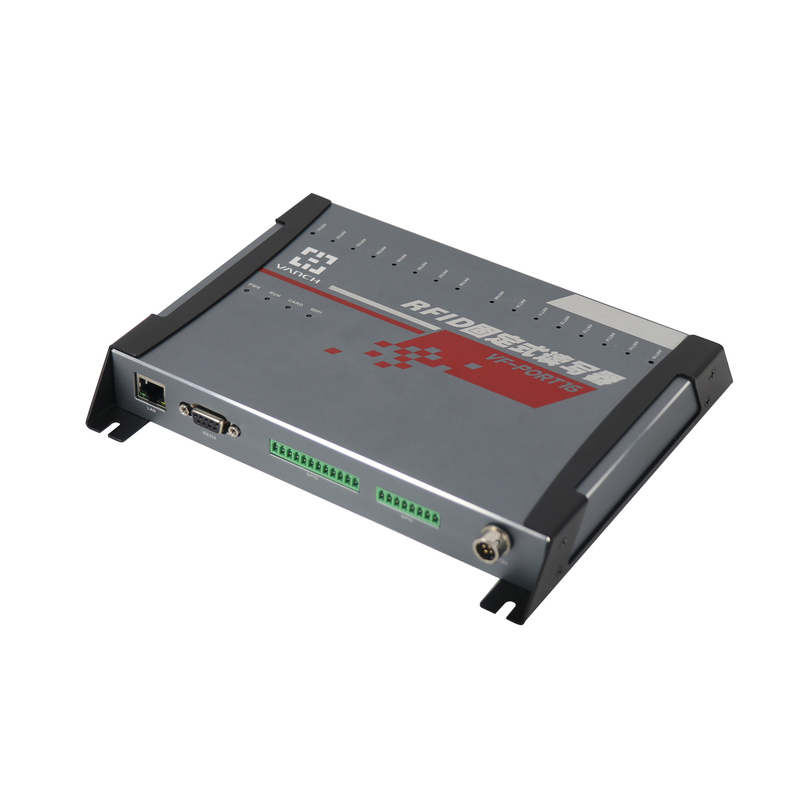 4.TCP/IP interface, can directly connect with internet with other reader equipment,achieve integration internet control,which good for engineering implementation. 5. Simple and practical software operation can control each switch of antenna,each way of antenna inventory time can be Millisecond settings. 6. Compatible with ISO18000-6C and ISO18000-6B protocols, can shift quickly between those two protocols, achieve to read double protocols tag at same time. 7. low power consumption and low voltage design idea can promise product long term safe and stable operation without fault. 8.Software intelligent monitor operation situation,24h x 365 days running without fault. 9.Products through the authority of domestic and foreign authority testing certification, FCC, CE, no Commission certification etc. 10. It is the idea equipment of intelligent shelf, library,archives and asset management. 1. Fully support compliance EPCglobal UHF Class 1 Gen 2 / ISO 18000-6C/ ISO18000-6B Standard tag. 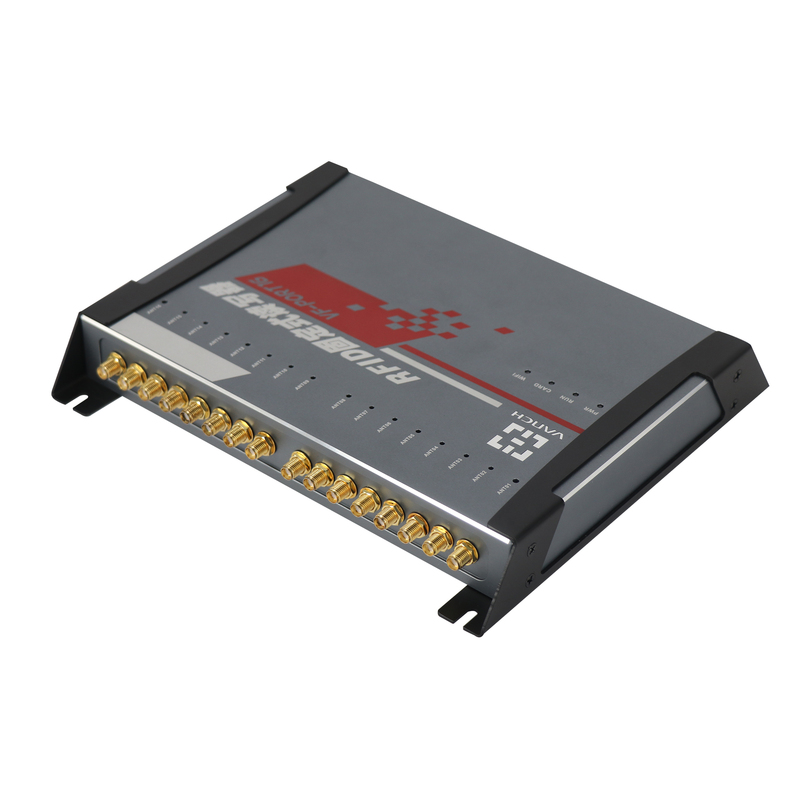 3. support RS232, RS485, TCP/IP and wireless network communication etc. 6.support multiple work modes including active mode, command mode, trigger mode etc. 7.LED State indication, support firmware online update through communication interface. 8.Reader provide 2 way optical isolated input, 2 way optical isolated output I/O interface, which benefit for product application and integrated. 12-30 dBm customized；50 ohm load.